Erected as a school by Earl Howe in 1829. In 1833 the were 113 pupils—some were only 3-years-old, by 1877 there were 241 on the rolls. This resulted in overcrowding, poor ventilation and sanitation problems, with the children playing in the street. 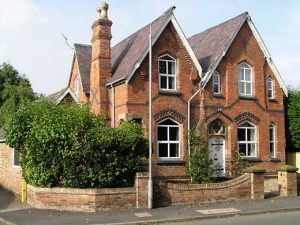 As a result a new school was built on Kegworth Road in 1879. In the village records there is evidence from apprenticeship documents of schooling in 1737, and also of advertisements for boarding pupils in 1801 at the Gotham Rectory. This property was built along with the school next door by Earl Howe in 1829 for use by the Headmaster of that school. He was paid £30 per annum. The original house had an entrance porch identical to that of the school. In recent times the cottage has undergone several modifications. 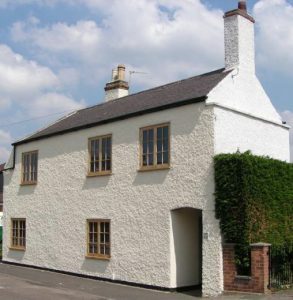 The cottage is mentioned in early Nottinghamshire travel guides. To the left another cottage by the name of Fern Cottage, once owned by the Stocker family who originally ran the gypsum mine to the rear of the Royal British Legion building. Many old people remember Mrs Stocker wearing a frilly white cap and handing out the Poor Relief money through the small window immediately adjacent to the pavement. Built in 1863 for his Curate by the Rev. John Vaughan, the house opposite the Old Rectory at the corner of Monks Lane, cost £503-7s-11d to construct and was a much larger property than it is today. It had stables with staff living quarters above and its own brew house at the rear. The bricks were made locally but the roof tiles came from quarries at Bangor in north Wales. There was a well in the front garden and the premises were surrounded by a very elaborate stone wall. Note the crosses built into the brickwork on the house front. Good plans exist of the building which includes an attached conservatory. Unfortunately the first Curate, the Rev. Henry Maturin Finny died of typhoid on 21st February 1865 as a result of visiting sick children in the village. He left a 5-month-old son named William Evelyn St Lawrence Finny, who later in life became Lord Mayor of Kingston upon Thames in Surrey. Subsequently he had a stained glass window put in the west wall of Gotham Church on 1st September 1932, which was a replica of one previously located in the Curate’s House. Local folklore suggests a tunnel between this house and the Church but has never been verified. Some past occupiers have claimed the presence of an apparition in the house either in the form of a young girl or a monk. Curate’s House was sold on 19th December, 1887, after attempts to use it as private school failed. It is now used as a private residence and has sometimes been named as The Cottage. The background to this street name is uncertain. There is no evidence of a Mr Monk in local records. 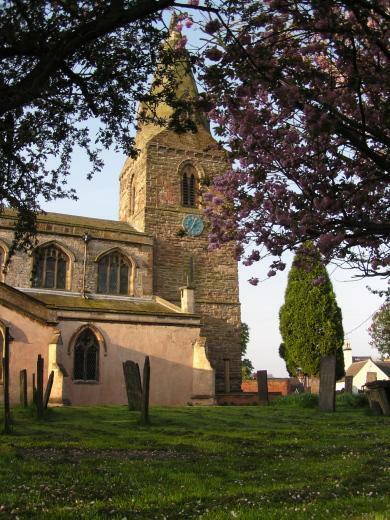 The most plausible reason given for the name is that the monks of Lenton Abbey who built the Church and the Manor resided here during their construction. In the 1901 census some 70 people lived in this Lane. At No.12 , above the front door is the name “G. Hives 1831”. He was a builder and beer seller and his family kept The Windmill pub at one time. No.12 was reputed to be the Beehive / Poachers pub as it was adjacent to the fields leading up to the hills. On the opposite side of the Lane are six old people’s bungalows built in 1982. They replaced a large farm having been built in 1815 by Robert Wheatley. The plaque was taken from this house and now stands on the grass verge near the bungalows. The Lane which is unadopted, was laid with tarmac surface paid for by the residents in 1996. This old farm house with its barns and stables once marked the southern end of Town Street occupying land up the current bus garage. Town Street so named before the adoption of the title Leake Road which entailed renumbering the houses from Kegworth Road junction. Before 1900 this was essentially where the village ended. Mr Towning, used to have a horse and cart waggon service to Nottingham. Where the beauty salon is now there used to be 3 shops in a line: a cobblers, hardware and bike shops along with 3 petrol pumps, and a butchers. Note the height of the road has been increased over the years witnessed by the steps going down in to the shop, which was originally the cow sheds. One old village document relates how floods in this region caused animals and chickens to be drowned. The butchers shop was demolished to make way for two houses (Nos.46 & 46A). 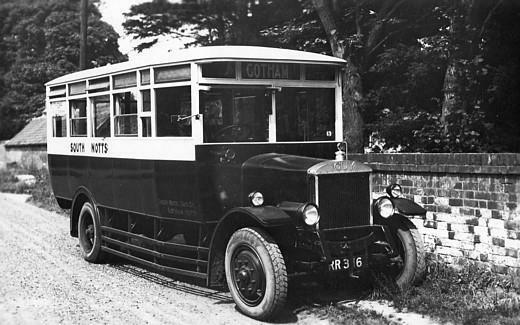 The first bus, a Guy registration No.RR 3316 cost £1000 and in which several villagers bought shares. The South Notts Bus Company was formed in 1926 by Mr C.T. Dabel using 56 Leake Road as its office, and old barn of Townings Farm as its first bus garage. The business grew and in 1934 a new garage for 8 buses undercover was erected. A haulage business, a car repair and taxi service were added, together with more undercover facilities. The lorry side was nationalised in 1948, the car repair element was moved to Nottingham Road in 1951 and the bus business finally sold to Nottingham City Transport on 22nd January, 1991. 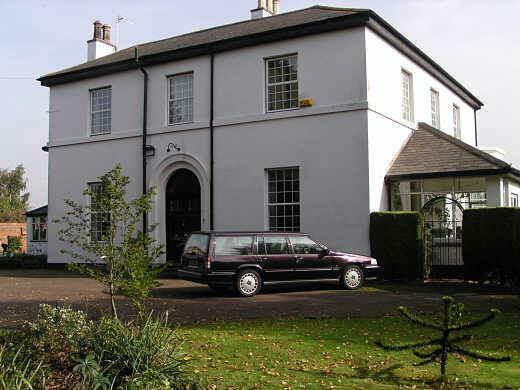 Over the road, opposite the bus garage, is the current Rectory, construction was completed in November 1959 and cost £6,550, being built within the garden of the Old Rectory. The Rev. Norman Copeland was then the incumbent. 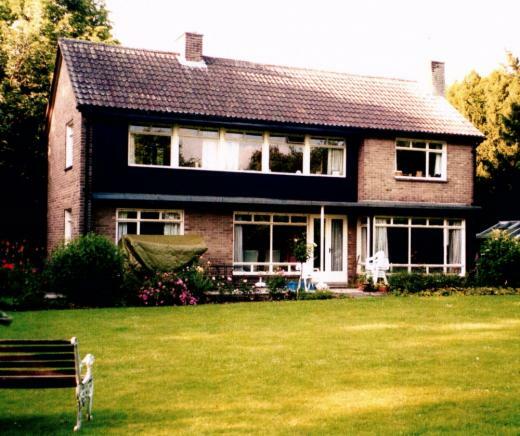 The Rector’s business part of the house is completely separate from residential section and is unique in its design. This is one of 70 rectories throughout the country built by the Church Commissioners after WWII. We are not sure when the first Rectory on the south side of the Church was built, however in 1743 when only 64 families lived in the village the then Rector William Bridges, wrote to the Archbishop of York complaining of the dilapidated state of the building with its 8 staircases, 120 windows and 2100 doors. He subsequently moved out to live in Nottingham in greater comfort. 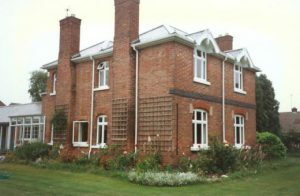 A replacement Rectory was built in 1843 and was described as commodious. The Rev. Vaughan who lived there with his wife, two daughters and a son, had a governess, a cook, a lady’s maid, a schoolroom maid, a house maid, a kitchen maid, a coachman and a footman. Part of this Rectory was demolished in 1928 to save maintenance and costs. The Rectory garden was the centre of many village activities. Because it was very large, cricket matches, tennis games and annual garden fetes took place there. Many a Gotham wedding has the garden as a backdrop to their wedding photographs. 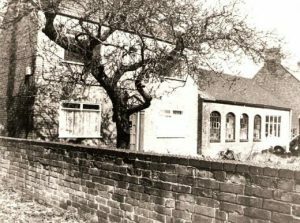 With the building of the new Rectory, at the opposite end of the then garden, the old passed into private hands in 1959. Mains water was not installed to the village houses until 1933, the new supply coming from Nottingham. Prior to that time many houses had their own wells, frequently drying up in warm weather. 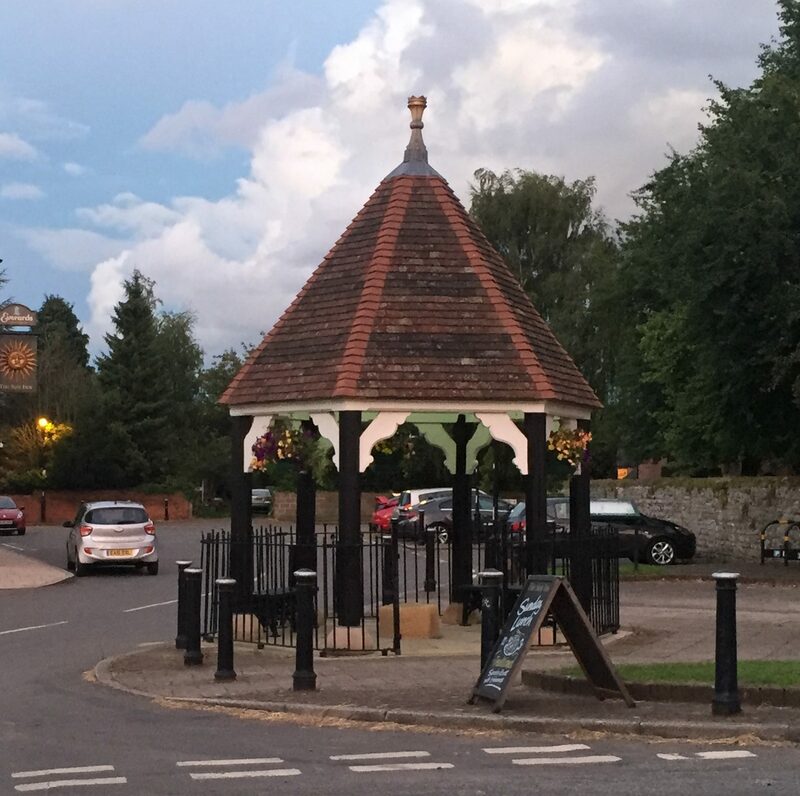 In 1832 Earl Howe provided a supply of water to this Pump site by laying a pipe from Weldon Spring in the hills behind the present Royal British Legion. This spring dried up in 1885, Earl Howe then removed the pipe and re-installed it to another spring situated near the fourteenth green on what is now Rushcliffe Golf Course. Also built at this time is the covering Pump structure, with which we are familiar, at a cost of £500. 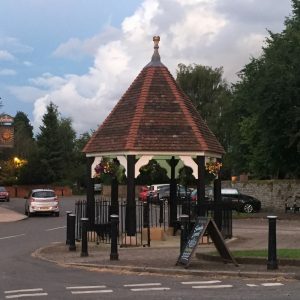 Subsequent repairs were carried out in 1965 when the structure became unsafe, renovation being carried out by a local builder and a £500 village collection. It should be remembered that in the early 1900s Gotham was extremely short of water and additional supplies were brought in barrels carried by horse and cart from surrounding villages, until the Railway was built and supplies came in regularly from Ruddington in 1900. 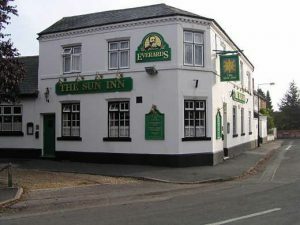 The Sun Inn was originally built in 1840 and called the Peel Inn. 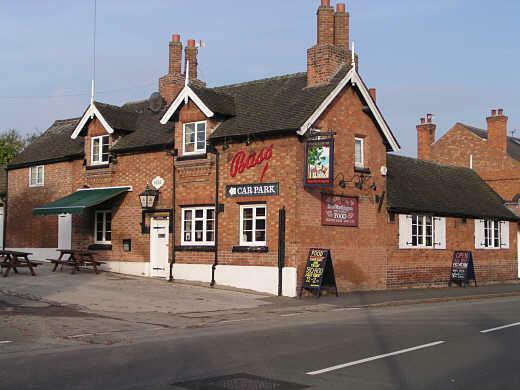 It was an old coaching inn and of a much larger structure than now. The Inn was very popular for Nottingham gentry to ride out in their horse drawn coaches at week-ends. Old people in the village can remember running after the carriages as children shouting “chuck a penny”. In 1849 the ‘Nottingham Ancient Imperial Order of Oddfellows’ opened the Prince Albert Lodge at The Sun Inn. At one time the Inn was a very popular place with honeymooners. It is not recorded when The Square was covered in tarmac but the early 1900s is most probable. Anna Seward, a poetess, wrote on a visit to Gotham in 1767 “that the majestic old elm stood in the middle of the greensward circled round by a mossy seat”. Two shops used to be in The Square on the corner with Malt Street: The Post Office, Mr Tuzzel surrendering the business in 1908, at the arrival of “those new fangled telephone things”. Next door (No.5) was Hallam’s Pot shop. Clifton Farm, The Square It is one of four farms situated in the centre of the village; in 1901 it was called Wilkinson’s Farm. Part of the stonework in its construction almost certainly came from the Church which was reduced in size following a fire in the 18th century. The name Clifton came from Colonel Clifton the original owner. The Manor House dating back to 1210 A.D. was part of the area that included the Church and is said to have been built by the monks of Lenton Priory. The present owners are descendants of the family who used to own two gypsum mines in the Gotham. There are some interesting features in the house: some of the rafters and beams are old ships’ timbers; the floors are of plaster and some of the areas in the attic are divided into cell-like compartments, which may have been used by monks or nuns, also for storing grain as many of the sides have been worn down possibly by the sacks being lifted over them. There is said to have been once an underground passage to the Church with the entrance located behind a fireplace. The Manor Farm and outbuildings on Moor Lane, are now under separate ownership and some have been converted to houses, equestrian centre and livery stable. Although the barn has been modernised it can still be seen where the threshing machine was positioned to deal with the harvest. During WWI German prisoners-of-war were billeted at this farm. 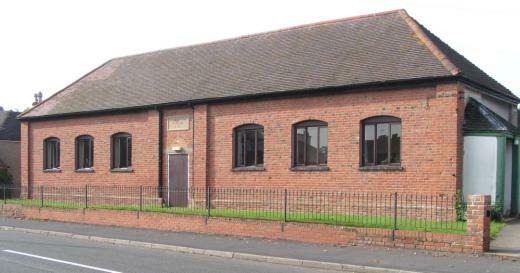 The building was converted very traditionally to a private garage by its new owner in 2000. 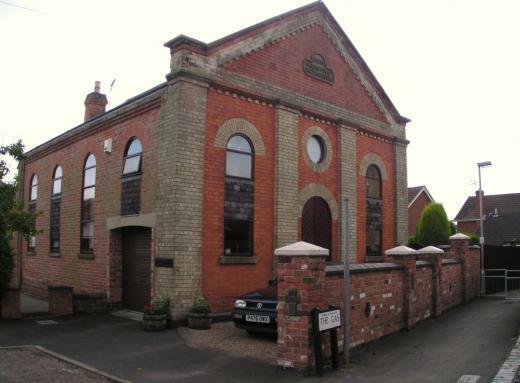 It was formally the Band of Hope and Primitive Methodist Chapel built in 1849. 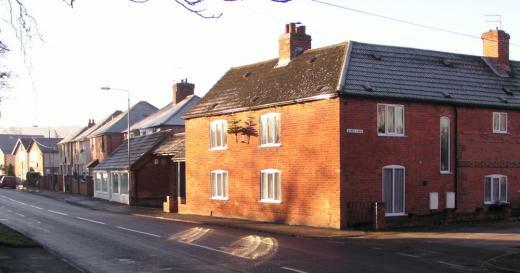 A little further along Moor Lane was the site of the village pinfold, where the new houses are built. The pinfold and an area of thatched cottages were called “Little Lunnon”. Elm Tree Cottage being the survivor. Gotham Moor was once an area of swampy ground until drainage ditches were dug. Bordering the swamps were reed beds and rushes. They were used together with local plaster to make floors and ceilings in village cottages. 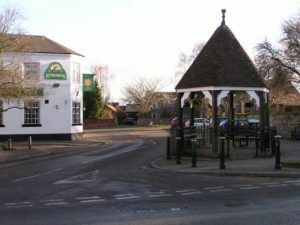 There used to be a flourishing basket and cane furniture industry in East Leake. Even during WWII Italian PoWs brought to the village to work on the farms would make baskets to sell for cigarettes or a little extra pocket money. Paradise Farm is no longer a farm, but the name is typical of that given in the past to the latest farm built in the village (and by implication, the best or paradise). It has a dovecote incorporated into it. Many low beams are present in the house but no date of original build is presently available. Many houses in the village had their own brew-houses. 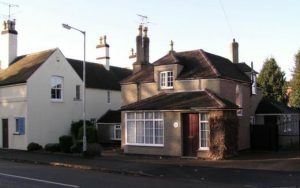 ‘The Malt Houses’, no longer existing, were a typical row of cottages, only the name remains. 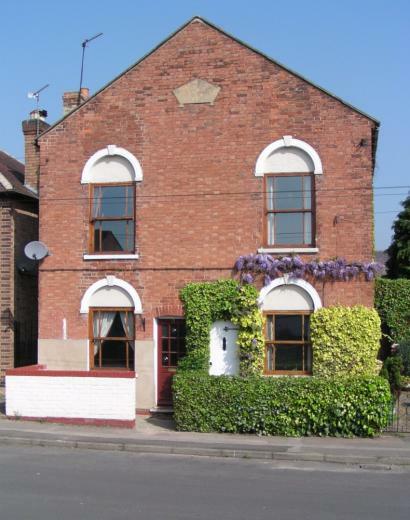 The Malt Street bakery building has been converted in 2004, into a private residence called ‘Bakehouse Cottage’. That part of Malt Street adjacent to The Square was once called Queen Street in celebration of Queen Victoria’s jubilee but the name is no longer used. 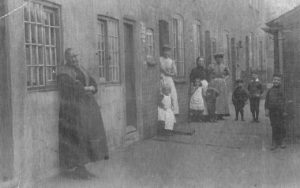 The section of Malt Street that meets Curzon Street was once called ‘Narrow Marsh’ where a number of frame work knitters had their homes. Curzon Street was named after the Curzon family. Richard William Penn Curzon was Lord of the Manor in 1806 at the time of the Enclosure Act and owned about half village. Curzon Street was originally called ‘Bag Lane’ because it was the collection point for women who collected bags of sewing to take home to work on in the evening. In 1847 there were 87 frame work knitters in the village. In 1811 the Luddites’ threat to destroy the stocking frames in the village was averted by the payment of an extra shilling per dozen pair. The old Chapel, which was the first Gotham Wesleyan Chapel, was built in 1836 (the date having been removed off the fascia) is now two houses (Nos.13 and 15 Curzon Street). Curzon House used to be one of the significant houses of the village at the end of what was Bag Lane. It was owned and occupied by the Sheppard family before they moved into the Manor House. It had a heavy wood entrance gate and the house itself was surrounded by a small wood. The house and 17 acres of land were sold in 1958 to a private developer who built what is now know as Curzon Street estate. Along the original Bag Lane (See Street Names for more information. ), were so called yards. These were lines of tiny terraced houses with outside toilets and became named after the first family at the entrance to the Yard. These Yards are now demolished and have been replaced by single modern houses. Holland’s Yard is now 5 Curzon Street and Hallam’s Yard (early view above) is now 19 Curzon Street. 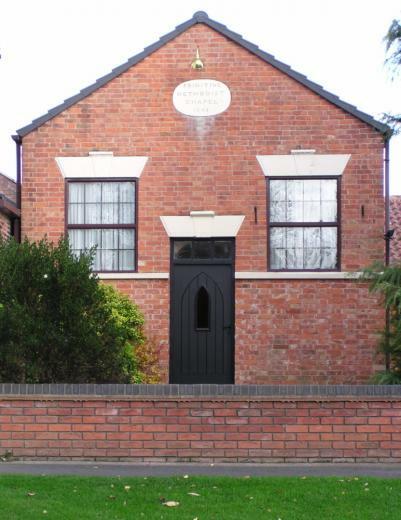 Primitive Methodist Chapel The precise date when Primitive Methodism was first introduced into the village is not known. However around 1820 a house on Bag Lane (now Curzon Street) was used temporarily as a meeting place before moving to a larger upstairs room over some cottages on Malt Street. Members of the congregation provided food and overnight accommodation for Ministers who came to preach each week. By 1846 a tide of religious fever swept the village and the upper room proved too small and a more specific building was needed. Mr John Trussell in 1848 donated a piece of land at Little Lunnon (now Moor Lane) for a new Chapel, which cost £140 to build and able to seat 120 people. This Chapel too became overcrowded by 1870, donations including gifts of cows, sheep and poultry were used to purchase land and to build the new Chapel at Meadow End. The latter built by Mr John Haywood and was officially opened in January 1871. The Trust set up to govern affairs and the Ministers who served there are well documented. Unfortunately, not all the Baptism and Marriage Registers have been recovered when the Chapel, initially amalgamated with the Wesleyan Chapel in 1961, and finally to be closed 1989 due to lack of attendance and cost of repairs. The Chapel has been converted to a private dwelling but Methodist services continue in St Lawrence Church on a monthly basis. The Gas This was the name given to a narrow footpath running alongside the hedge of Jacket Leys Field. It provided a shortcut through the village avoiding the main road. 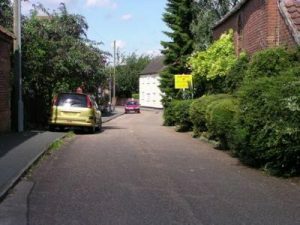 The name Gas originated either from its gas tarmacadam surface or from a Second World War soldier returning home using the German word die Gasse which translates into narrow passage. It is believed to be the only alleyway with this name in the country. A regular place of work between the wars and during WWII, for about 35 village women and young girl school leavers. It was an extension of a business in Kegworth, run by the two Roberts sisters who travelled here every day. The main products were knitted gloves for various armed services and the police, the ends of which were sewn together by hand by the girls’ mothers in the evening. In times of high demand some of the work was carried out in the old mill or by installing machines in the ladies’ houses. After several changes of ownership and industry the factory has now been converted into a private house. There were several shops on East Street, including fish and chips, ice cream, sweet shop and a butcher’s shops. The first Co-operative shop in Gotham opened in 1873 on Meadow End. Subsequently this was taken over and became a retail branch of Lenton and Nottingham Co-operative. In 1898 Long Eaton Co-operative opened Gotham No.9 branch in 1898 at No.8 Wallace Street, later moving to new premises opposite in 1904, picture. The first week’s takings were £34, which by 1928 had risen to £311. The two shops traded in Gotham until the Nottingham one closed down. A manager’s house was built alongside in1911 and later a drapery section added. The Long Eaton shop finally closed in 1987, with hindsight it suffered from not being on the main road and from restricted parking. 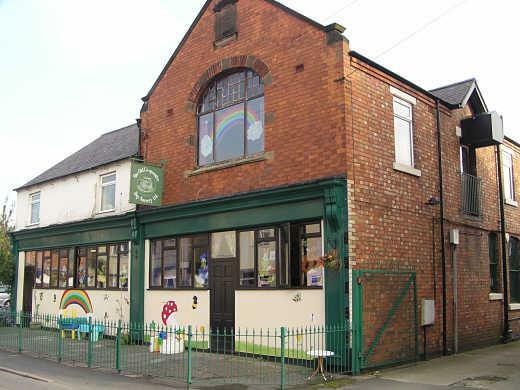 The building has since been used for different businesses but now houses a private children’s day nursery. 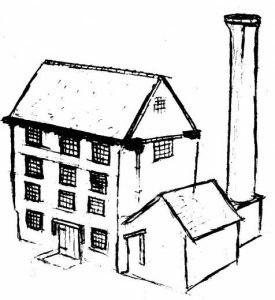 Drawing of The Mill by Alan Bednall There was originally a wooden windmill for grinding flour on Cheese Hill but this was destroyed by fire in 1689. 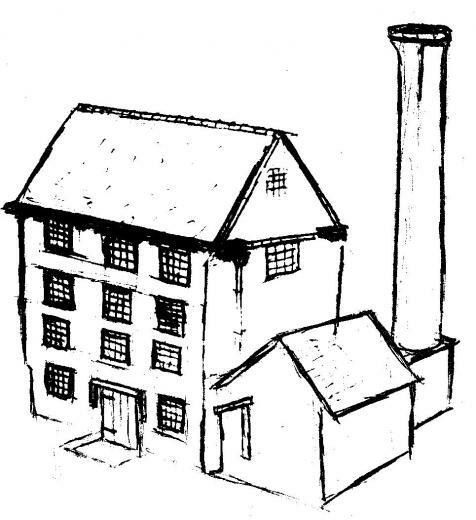 The four-storey mill was erected on Nottingham Road in the early part of the 19th century, on what is now known as Machin’s site. It was a steam-driven mill producing flour from wheat grown in the local fields. In the 1900s it was converted into a soap factory, and then in recent times to a knitwear factory. The building was demolished in 1972, when Mr Len Machin built a modern knitwear establishment producing the Joywully jumpers, etc. This factory has now been divided into small industrial units. 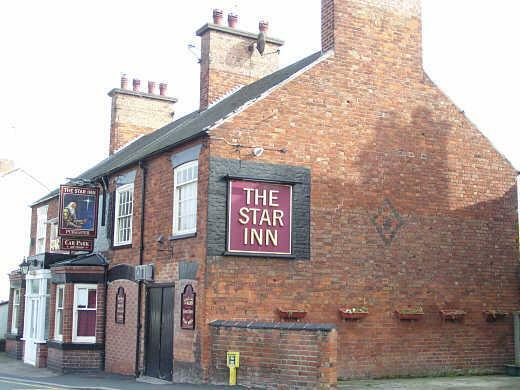 The Star Inn, originally started as a beer house, horses were stabled there together with other small farm animals to the rear. Framework knitters carrying out their trade in the upper rooms. Next to The Star was a surgery which was open one day a week. There were no houses built on the north side of this road until the 1920s. The council houses toward Nottingham, on the Bidwell Crescent and Wodehouse Avenue estates with building starting in 1948. The land where the Car Sales business now stands was originally bought in 1946 by the Dabell Brothers for the construction of a new lorry depot. The lorries had previously been based in the South Notts Bus Co. yard. However when the British lorry haulage businesses were nationalised by the Labour Government under the 1947 Act, the proposed lorry depot was no longer required. Hence a garage Service Station was built in its place. 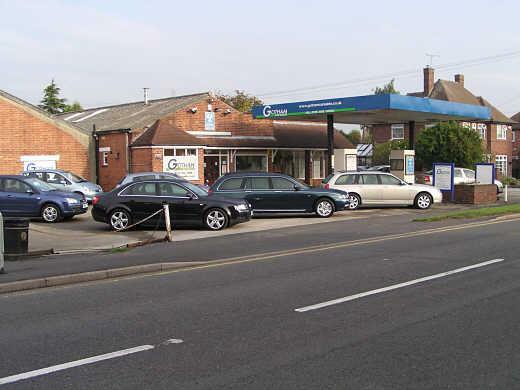 This business continued and expanded under various owners until February 2000 when the present owner found that petrol sales were uneconomic and thereby choosing to concentrate on Car Sales. 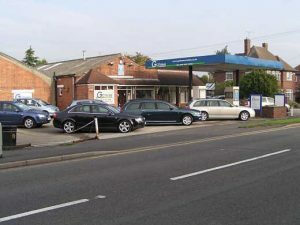 At the time this was the only remaining petrol outlet in the village and local residents were faced to travel further afield to obtain their supplies. In previous years there had been five businesses selling petrol to the public in Gotham. 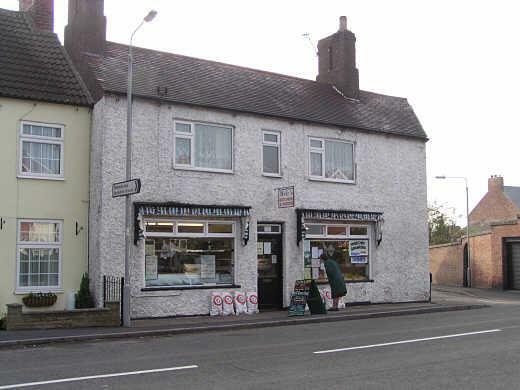 A grocers shop and a butchers shop along this same stretch of Nottingham Road, have also closed and reverted to private houses in recent years as part of the changing scene in our village. The Memorial Hall and Recreation Ground was officially opened by Earl Howe on 3rd September 1921. Negotiations had started for its erection some ten years previously but was delayed because of WWI. The Hall contains Rolls of Honour for those who fought and died in the 1914-18 and the 1939-45 wars. At the beginning of any major function in the Hall a minute’s silence is always held in memory of the fallen. The original Hall was completely rebuilt in 1968 and officially opened by the oldest residence in the village, 99-year-old Mrs Lacy on 16th November. The Hall has subsequently been extended and includes facilities for the village Health Centre, Library, Youth Club and Playgroup. The Recreation Ground consists of eleven acres and is used by many Gotham sporting clubs, including: bowls, tennis, football and cricket. The land was purchased jointly be the Derbyshires of Rempstone and Sheppards of Gotham, both mine owners in the village. Built in 1929 replacing a previous public house at this site and named after the local windmill. (Early records indicate the presence of a windmill in the village in 1296. Much later in 1689, several people were bound over for attempting to burn the mill down.) This second building with its large car park was closed in 21st June 2007 and demolished November 2007. Now thirteen houses occupy the site. This is the only remaining thatched cottage in the village. It was originally three houses with two storeys, the upper floor being reached by ladder. It is not easy to believe that one family had nine children. Originally part of the Earl Howe’s Estate, it is considered to be over 150 years old. It is built of wattle and daub (with plaster). It is often quoted as the place, in the “Tales of Gotham” where the cow was hauled up on to the roof to eat grass, unfortunately the tale has it, the poor beast died in the hauling process. 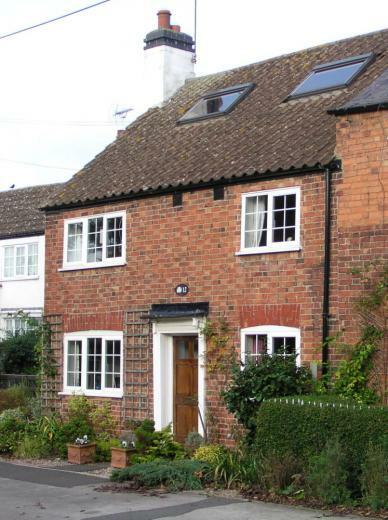 The cottage has now been modernised with outer brick wall added. 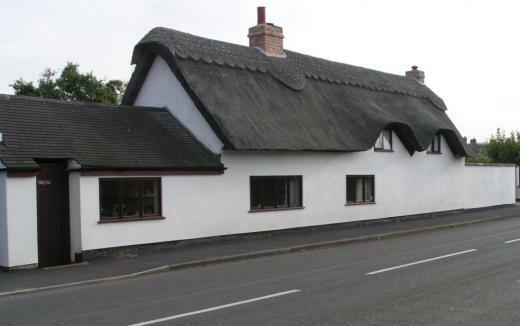 It is known to have been thatched in 1910 by George Bradbury, in 1952 by Gotham thatcher Sid Bradbury using straw, renewed with reed again in 1984 by Mellor. 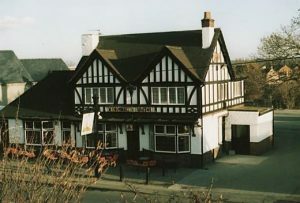 The thatch was again refurbished in June 2007. Previously this was the site of the blacksmith’s forge of Thomas Carver, which was worked until about 1940. Not only were the many horses of the village supplied with their shoes here but miners had their picks sharpened here too. 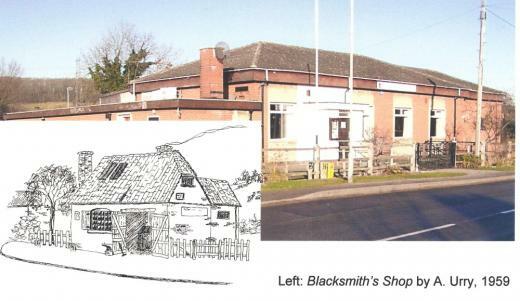 The smithy was a general meeting place for the village men folk being converted into a “Better ’Ole” following WWII, still with its thatched roof. Unfortunately due to an electrical fault it was burnt down in 1952 and subsequently rebuilt as the British Legion in the form you see today. Beside Gotham ex-service men it serves Clifton and East Leake members too. Alas, changing social circumstances and declining local Legion membership has forced the disposal of this property. However the local British Legion Branch continue to meet in Gotham Village Memorial Hall. In the days of the blacksmith there were a grocers, police station, post office and surgery on the opposite side of the road. 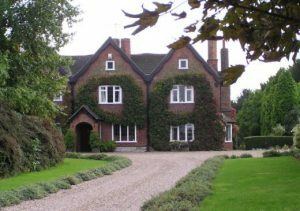 It was opened in 1879 complete with the Headmaster’s house at a cost of £3,517. The School originally had a mezzanine floor as well as twin towers. Children under 4 years were permitted to attend but not allowed after 1904. The School playground was first laid with tarmac in 1905. In 1908 there were 208 pupils in the School; even in those days there was an Attendance Officer to chase up truants. Girls had cookery lessons in 1924, which necessitated a walk to Rushcliffe Halt station to catch a train for Ruddington for the day. The two turrets were removed in 1925 for safety reasons. During WWII school numbers were doubled with evacuees from Birmingham, London, Nottingham and Sheffield. In 1956 senior pupils were transferred to Harry Carlton Comprehensive School in East Leake. 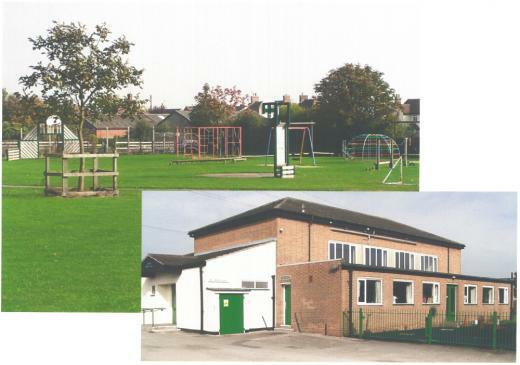 In 1986 Gotham School was extended by the erection of a modular building on the opposite side of the road due to children been admitted from surrounding villages. Notice the name Gotham was removed from the stonework on the building front; this was part of the measures adopted during WWII together with road sign removal so German parachutists had no indication of where they had landed. After years of debate and consideration, a completely new school was built and formally opened in 2006 on the south side of Kegworth Road. The old School (on the north side) was sold into private hands after removal of some modular buildings. 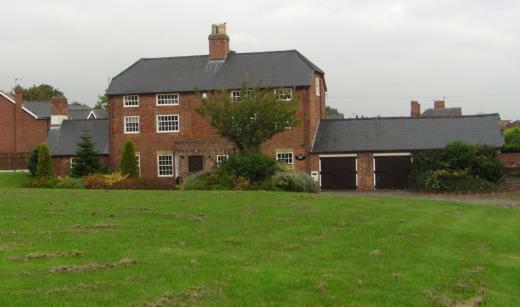 This farm once consisted of a substantial farmhouse, stables, cowsheds and outbuildings together with 120 acres of land, situated on Kegworth Road. Farm income was obtained from cereal crops and steers undergoing fattening. In 1995 the outbuildings were demolished and the site converted to a small estate of houses and bungalows called Home Farm Close. The farmhouse has been substantially improved, but the far acreage had been amalgamated into Glebe Farm on the north side of the village. On the opposite side of Kegworth Road 55 houses and chalet bungalows have been built, construction staring in 1965 when Hall Drive, Tomlinson Avenue and Pygall Avenue were created. The Post Office was built in 1938 by the Kemp family after moving from their previous Nottingham Road site. The new site on the corner of Kegworth Road, known then as Ming’s Orchard, had annually been used for the village wakes. For example, in October 1883, the latest roundabout had 36 wooden horses made in Germany and was steam driven. It reputedly cost £1,200. 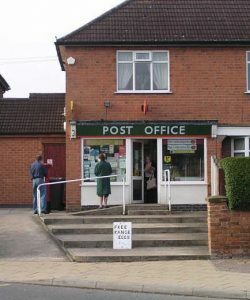 Unfortunately, this Post Office ceased trading in September, 2013, as yet attempts for a replacement have not materialised. A Post Office counter was installed and opened in March 2016 within the convenience store/paper shop, Nottingham Road. The present Cuckoo Bush was built in 1858 in the same place as an earlier one. It was originally run by the PRHA (Peoples Refreshment House Association). Of course its name and sign are synonymous with one of the Gotham Tales. In 1794 a Friendly Society used to meet there. In 1826, 339 valuable timber trees standing in Gotham Wood were sold there by the agent of Earl Howe who owned the wood. Mrs Woolley, the landlady at the time was sometimes in trouble with the local magistrates over her licence. The Talbots were other early tenants and the road running alongside the pub to four houses at the rear has been called a variety of names including Talbot’s Lane, Yeoman’s Lane, Dabell’s Lane, etc dependent on who lived there at the time. It is still unadopted but called Orchard Street. A STITCH IN TIME . . . . . . or approximately three quarters of a million stitches in five years! 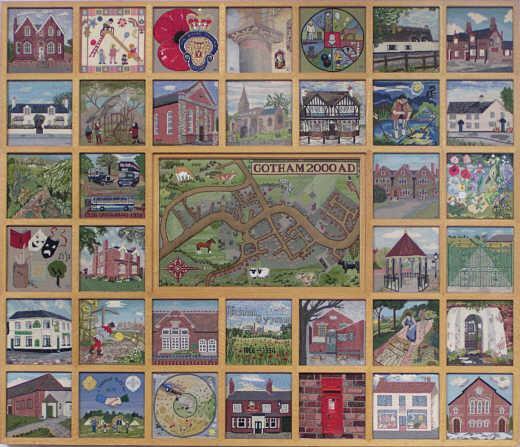 One individual’s idea of a Millennium Tapestry crystallised in 1993 and gained momentum with enthusiasm, interest and support from other villagers. A great response to appeals for help soon had sufficient volunteers designing and transferring patterns on to canvas. Each panel is an original design, no professionals were involved and some of the ladies had never done tapestry work previously, yet the results reached a very high standard. 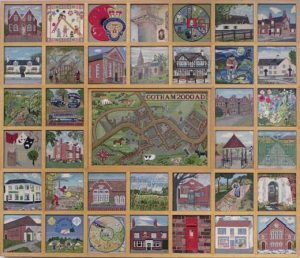 The tapestry panels are representative of many facets of Gotham village including; notable buildings, businesses, many organisations including sport and social, even some “Gotham Tales” were included. The finished tapestry being mounted on a frame of reclaimed oak. On completion the “Gotham Tapestry 2000” was proudly given to St Lawrence Church for safe keeping and hopefully it will give pleasure to the people of today and to many future generations. Further comprehensive information is available in a booklet of the tapestry titled A Stitch in Time published by the Gotham and District Local History Society.